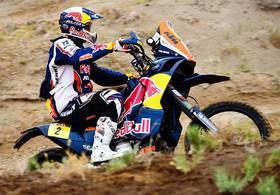 SA-Dakar Rally: Cyril Despres 4th Dakar title ever, 11th for KTM from Austria. Red Bull KTM factory rider Cyril Despres on Sunday rode into Lima in triumph to seal his fourth career Dakar title and to present KTM with its eleventh consecutive win in this, the toughest event on the annual motorsports calendar. His KTM teammate Marc Coma finished second overall in what was one of the most epic two-way battles in the rally’s history. The race was a personal triumph for French-born Cyril Despres who first won in 2005 and repeated the victory in 2007, 2010 and again in 2012. 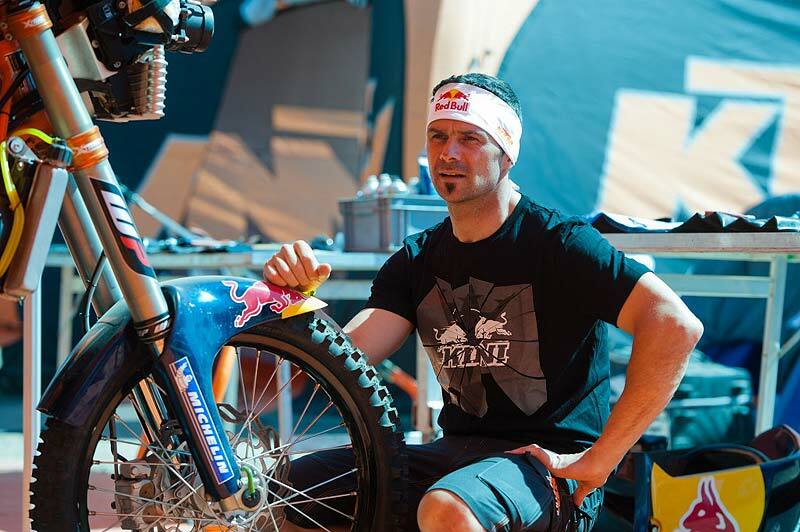 His KTM factory teammate Marc Coma, who won the rally in 2006, 2009 and 2011 finished second after one of the Dakar’s most historic and closely fought battles. Both riders set the scene for a two-way competition right from the first stage and remained minutes apart until the penultimate stage on Saturday. 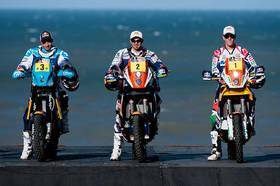 Coma won five stages in the 2012 edition and Despres four but it was the turn of the Frenchman to ride in triumph into Lima. "Today we won and it's simply fantastic. This is without a shadow of a doubt the toughest Dakar I've ever raced in" Despres reported at the finish line. "It was difficult physically, but even more psychologically. Challenging yourself every morning and fighting on the course takes its toll on your mind. It's not like a 42-kilometer marathon; here, you have to earn your place every morning." "All victories are beautiful, but this one is special because it came down to the wire and was decided at the last minute. This was an unimaginable scenario, with the leaders separated by mere seconds. I've done 90 or 85 rallies throughout my life, and this one was the one where I had to fight the hardest. Today will leave its mark on me." 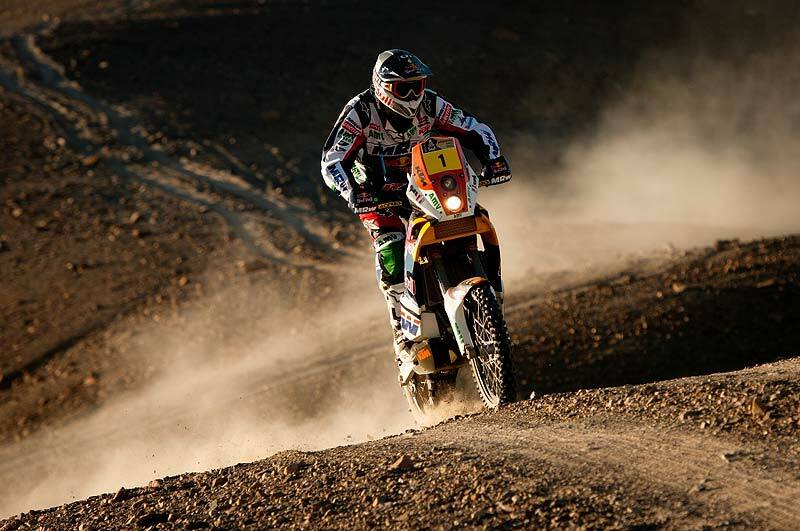 The last timed special about 29 kilometers from Pisco to Lima went to Pal Anders Ullevalseter of Norway (KTM) who finished ahead of Coma in second place. Despres, who said after the penultimate stage that the effort to stay ahead of Coma had cost a huge amount of physical and mental energy coasted home in tenth place. Only minutes had separated the two KTM leaders going into the penultimate stage and the competition was fierce. Since the beginning of the rally both riders had never let up in speed and determination. But in the heat of the battle on Friday, Coma made a huge jump on the bike and when he landed he knew he had gearbox problems. He nursed the bike back to the bivouac but also made a navigational error in the process and this was enough to give his rival the lead he needed. 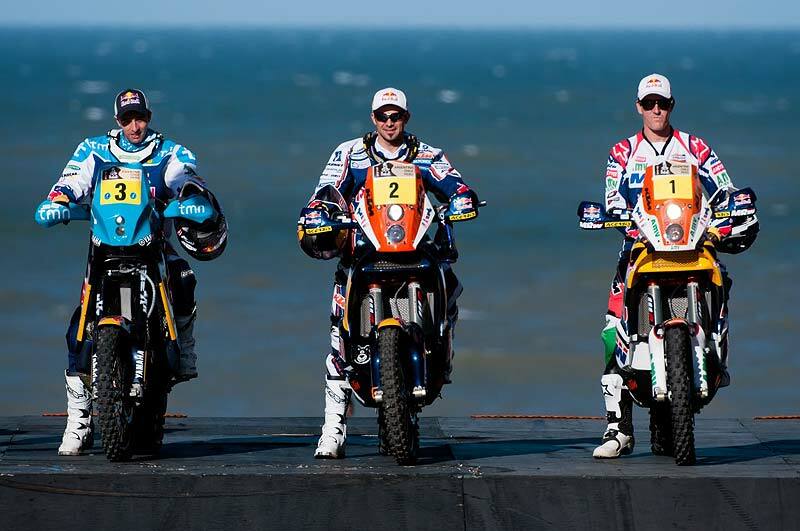 A new Dakar rule in 2012 penalizes riders 15 minutes for the first change of engines and 45 minutes for the second. As the factory team had decided to change out both engines in the lead riders bikes one stage into the second half of the rally this meant that when Coma’s engine was changed a second time he was given another 45 minutes penalty, effectively handing the title to his teammate.